New Year, new collection! Woo-hoo! We have been extremely excited about this collection and a couple of colours in particular have got our full attention. 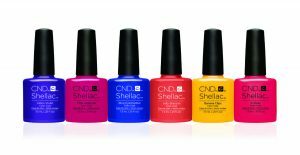 This range of 6 high octane Retro Futurist colours is bold and fabulous. Launching January 2017.